Dr. Hitesh Govani has practiced General Dentistry since 2000 and sees patients of all ages. 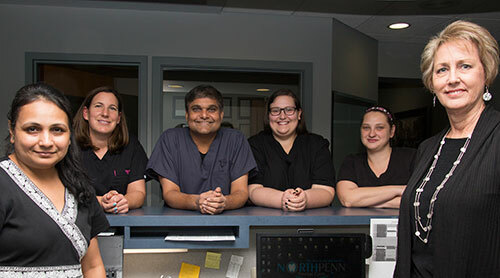 He obtained the practice of Dr. Wayne Butcher and has been here ever since, meeting the dental needs of the Lansdale region with genuine caring and respect. Our office is accepting new patients, and we provide all General Dentistry services, including tooth replacement, dental implants, help for TMJ dysfunction, Invisalign, routine care, root canals and tooth extraction. We have plenty of free parking available for our patients’ convenience, and our office is wheelchair accessible. We also employ a stringent infection control policy for patient safety. Give us a call today at (215) 822-9600 and receive expert care for all your dental issues.